By definition dreadlocks are heavily or tightly knotted matted coils of hair which form by themselves eventually fusing together to form a single dread. 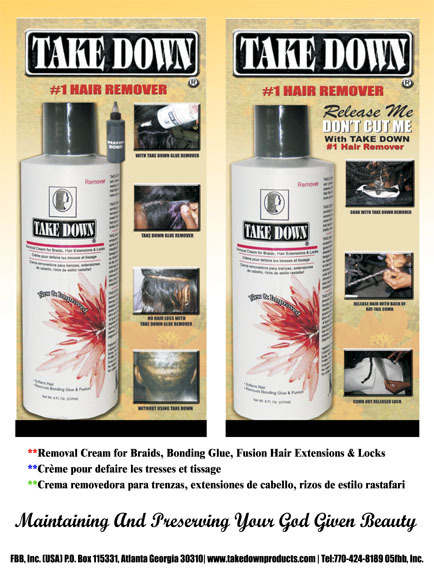 This is possible in all hair types, if the hair is allowed to grow naturally over time. The notion that dreadlocks can only be cut off has been a widely accepted view in South Africa because it was once a hairstyle associated with strength, consciousness and spirituality. Cutting dreadlocks was viewed as being synonymous with Samson of the Bible (Judges 16:17) who would lose his power if his hair was cut. 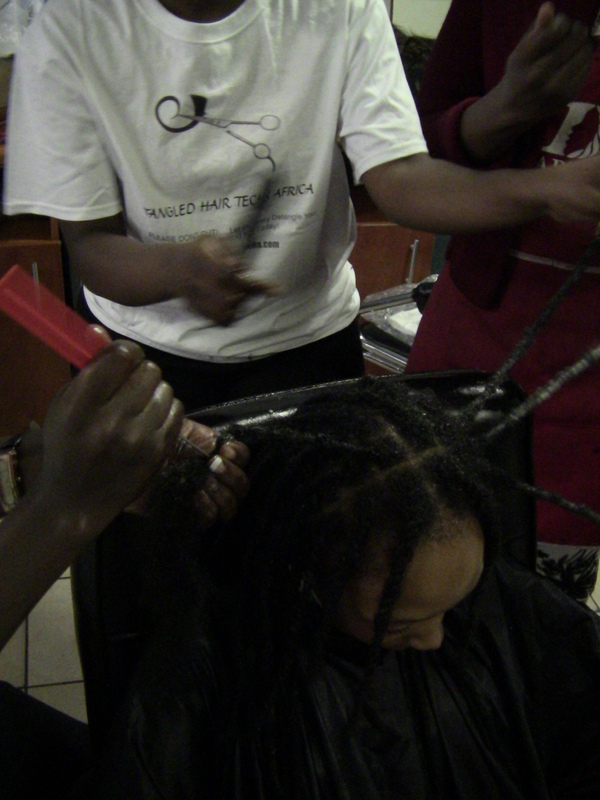 Hair styling for dreadlocks is a lucrative business in South Africa with a trip to the salon costing hundreds of Rand. 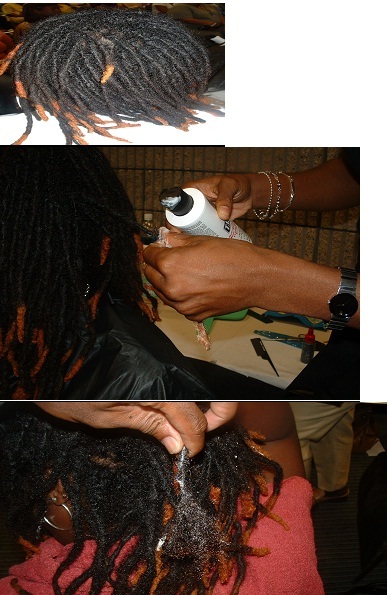 Hairstyles that add pre-packaged dreadlocked hair to the natural hair like “Dreadlock Extensions” have become popular due to the perception that dreadlocks are a permanent hairstyle. The dreadlock removal process takes anywhere from 10-20 minutes to remove just one dreadlock depending on the length and thickness. Salons are charging their clients service fees of R1,200-R4,500 to remove dreadlocks. One of the universal phenomenons that have survived the onslaught of time, dreadlock has its origin rooted in many cultures. A unique example is the ancient Vedic Hindu culture. In the Hindu mythologies it is described that Lord Shiva took the force off the holy river Ganges coming to the earth on his dreadlock and thus saved the earth from destruction. Historically too the earliest evidence of dreadlock is found around 2500 years BC and have been mostly the favorite hair style of sages and monks. Hinduism had its influence on Buddhism, Jainism and even the Greek and Roman cultures of the past. In the Roman Celtic culture dreadlock was referred to as hair knotted like snakes. The royal families in ancient Egypt not only adopted the dreadlock but also used dreadlocked wigs as archeological discoveries have revealed. Dreadlock was used not only in Egypt, Rome, and Greece but Germany, Mexico, Far East, Africa and several other countries. In Germany the Vikings, in Far East the Naga tribe, the Bishops of Jerusalem, Aztecs of Mexico were all well attached with Dreadlocks. Dreadlock was one of the most popular hair styles in these countries during the 14-16th century AD and they were also found with the Sufi Order in Senegal. During 1950s in Jamaica the people followers of “Young Black Faith” took heavily the style of dreadlocks following the cue of poor people there who had been using dreadlocks since the 1930s. It is also said that when Hindu and Naga saints started visiting Jamaica in pursuit of jobs in the 19th century, the dreadlock culture came up with them to Jamaica. A few others trace the origin to the Mau Mau rebels who were fighting against the British colonialism of the time. Dreadlocks have been used by people coming from different cultural backgrounds with different reasons. Sometimes it is due to their religious and spiritual convictions like it is sacred among Hindu saints and monks and at other time social and political environments like used by the Mau Mau rebels. To avert the derogatory use of the term a new term has come up to replace the term “dreadlock” and it is often referred to as “African Locks”, the aim being to remove the feature of dreading from the terminology.